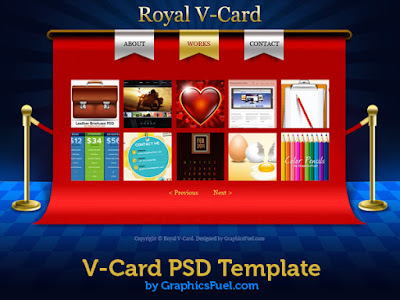 Today’s PSD freebie is 4 V-Card website PSD templates. The templates come as fully editable design pages – about, works (portfolio), image popup and contact — in Photoshop PSD format. As the sources files are available for free download, you can use the templates as your personal vcard site making necessary changes to fit your design need. Download the vCard PSD templates and let me know your thoughts.